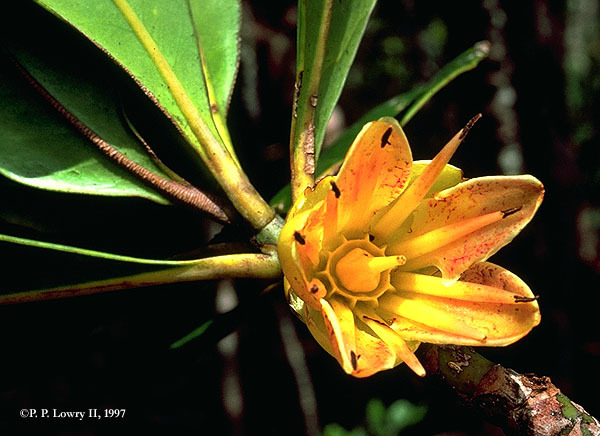 Recent data indicate that 76.4% of New Caledonia's native angiosperm and gymnosperm species are strictly endemic, occurring nowhere else in the world, and that just over 14% of the genera are likewise endemic (Jaffré et al., 1993). 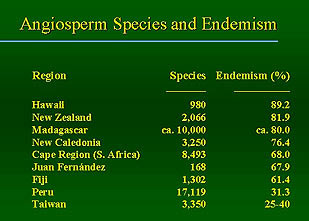 Examples of endemic plant families on New Caledonia. Left and right photo: Flower and fruits of Strasburgeria robusta (Strasburgeriaceae) on Mt. Mou. 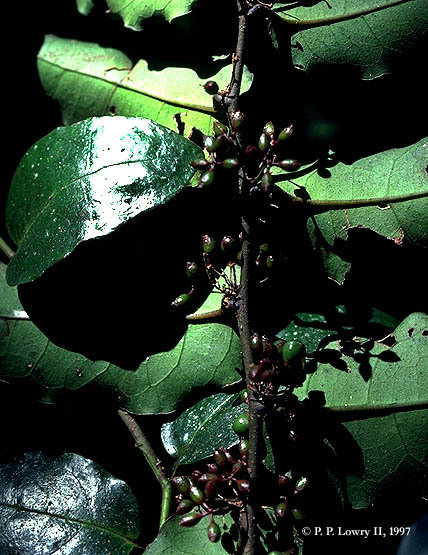 Center photo: Amborella thichopoda (Amborellaceae) on the Plateau de Dogny. 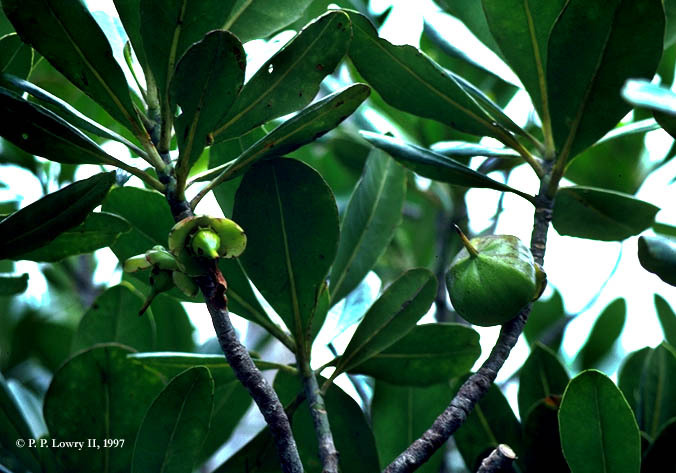 Five plant families can also be recognized as endemic: Amborellaceae, Oncothecaceae, Paracryphiaceae, Phellinaceae (often included in Aquifoliaceae), and Strasburgiaceae (usually placed in Ochnaceae). 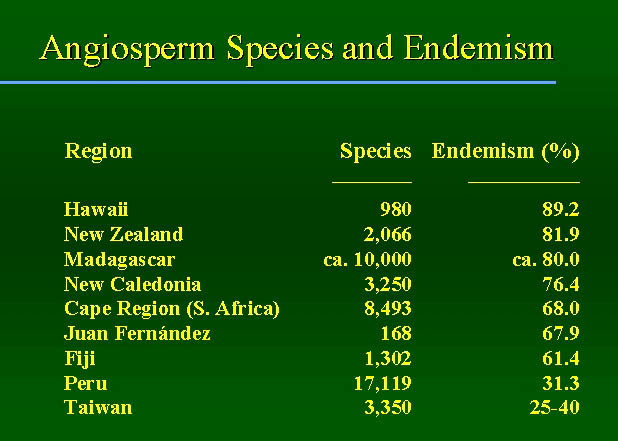 Comparison of levels of endemism in New Caledonia with those for several other areas shows that only Hawaii, New Zealand, and Madagascar have higher proportions of endemic species.